The Photo Agency of the Réunion des Musées Nationaux – Grand Palais (RMN-GP) is the first institutional partner to join the Sketchfab Store – commercially licensing 3D scans of real artifacts from world renowned French museums. 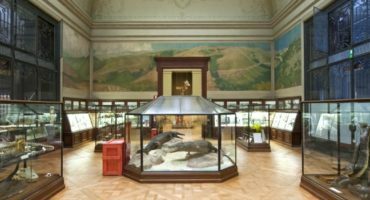 Since 1946, the RMN-GP Photo Agency – a public institution under the authority of the French Ministry of Culture – has been officially responsible for promoting the collections of France’s national museums. For more than 60 years, the agency has carried out photography, each year capturing more than 20,000 new on-site images expanding the agency’s extensive media library, universally available at photo.rmn.fr. Our website provides comprehensive access to entire collections. Over one million photographs of artworks from France’s national and regional museums are accessible online, including images of collections from the Louvre, the Musée d’Orsay, the Centre Pompidou, Chantilly’s Condé Museum and Palais de Beaux Arts of Lille. The agency also has an international distribution network of exclusive agents in many foreign countries. Prestigious foreign collections, including London’s National Gallery, New York’s Metropolitan Museum of Art, Dresden’s Gemäldegalerie Alte Meister and Florence’s Uffizi Gallery, are also available. From Leonardo da Vinci’s Mona Lisa to Monet’s Water Lilies, from Titian to Fernand Léger, from Oceania’s masks to Asian art, and including paintings, sculptures and drawings, the website allows visitors to tour the greatest collection of images of art. How did RMN-GP Photo Agency begin working with 3D? The agency began 3D scanning in 2013 and has produced models with more than 12 national museums including Le Louvre, Orsay Museum, Sèvres Limoges, the Picasso Museum, the Guimet Museum of Asian Art and more. All the models the Agency produces are made available to institutions to enable their mediation and promotional activities. How is Sketchfab used at RMN-Grand Palais? All RMN3D models are available on Sketchfab and in turn are embedded back into the website of the Photographic Agency of the RMN-Grand Palais. 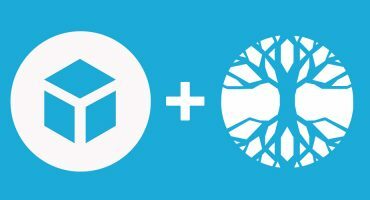 The Sketchfab platform allows us to host and publish 3D files online and the 3D player allows the display of models on all browsers and on any screen – from smartphones and tablets to virtual reality headsets. Publishing on Sketchfab allows easy integration of the models on the museum websites, as well as on social networks without having to install a particular plug-in. The museums can thus display 3D models of the works in their collections directly on their own websites, but also on the social networks or on scholarly websites, such as Panorama de l’Art. The Sketchfab platform is perfectly adapted to our needs; we can put high quality, high resolution models online, which is very important for the scientific community of museums. Many other museums around the world have also chosen to share on Sketchfab and it has been obvious to us to offer a selection of models for direct purchase on the website. Selling from the website is very simple and we can easily adapt and modify the price or the selection of models available for sale. Why is it important to allow for commercial re-use of cultural heritage 3D content? How do you hope the 3D data will be re-used? The presence of models from French national museums is very important because their display allows the promotion of these works of art. Their commercial use maybe in movies, video games or on the web and social networks contributes to knowledge and artistic education. We acknowledge that the opportunities for re-use of 3D scanned cultural heritage models is in its early stages and are please to be leading the way. How and why does RMN-GP currently use 3D content online and within exhibitions (e.g. Sites éternels,Gauguin l’alchimiste)? In 2016, the agency made 3 models that were integrated into the scenography of the exhibition “Eternal sites” at the Grand Palais. Three emblematic works lent by the Louvre Museum were modeled and presented in the introduction of each sequence of the film “universal space”, thus linking immersive videos and real works presented to the public. 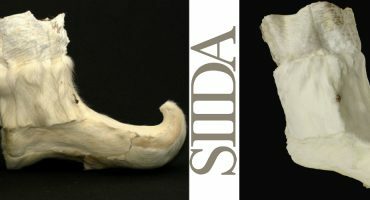 The “Gauguin l’alchimiste” exhibition at the Grand Palais in 2017 was also an opportunity to highlight the agency’s 3D models: more than 30 works by Paul Gauguin have been digitized in photogrammetry with a very high precision guaranteeing their geometric and colorimetric conformity: twenty-one carved and ceramic sculptures and eleven paintings, lent by the Musée d’Orsay, have been modeled. These 3D models have been included with the film’s broadcast along the exhibition and extend the catalog and other publications of the RMN-Grand Palais with augmented reality. How do you see 3D changing the way museums and cultural organisations work in the future? 3D models are becoming increasingly important for sharing, dissemination and exhibition use. 3D models are particularly suitable for use on interactive displays in museums, where museum patrons can view all sides of the work and zoom in or out to view all the details. In the future, augmented reality will enhance book editions, postcards and other print media. Another direct application concerns education, given the current capabilities of smartphones and tablets, the potential impact of augmented reality could be very important in the short term. Describe a typical workflow for how you create or capture 3D? What tools or equipment do you use? Scanning in photogrammetry using 24 x 36 camera positions. The postproduction is different and does not use the same software, in the case of hand-held scanners the agency uses Artec Studio to achieve alignments and merging parts of the model. In photogrammetry, the software used is Capturing Reality (alignments and reconstruction).